Peak Season requires at least 3 or more nights, arriving or departing on a Saturday. July to mid August requires a 7 night minimum. This walk-in condo from the parking lot is a wonderful lakefront 3 BR, 2 Bath which can combine with condo 2-5 to make a 6 BR, 4 Bath for the large groups. A perfect family vacation to spread out and relax. Enjoy a Jacuzzi bath, a dip in the lake or pool, or bring your own boat or jet skis and enjoy the dock with 11 x 30' slips and Table Rock Lake. All minutes from Branson and all its attractions. A great place to stay at Table Rock! These places are perfect! Very clean and well appointed! We cook a lot, the units have every thing you need! Great location and very friendly Staff! The condo was beautiful! Everything you could think of was provided. I would suggest replacing the kitchen chairs, but that is minor. The rest of the furniture was in excellent condition. We spent a lot of time in the condo and and it was very comfortable. The view was pretty, but I wish I could have seen more of the lake. Too many trees in the way. I would highly recommend this condo and will stay again when visiting Branson. We love the condos at Vickery Resort. Colleen ensure that the units are kept in too shape. We love the location and the new boat dock. We have stayed here for several years and plan to keep coming back! This condo was very updated and clean with lots of space. We loved the swim dock and how quiet the resort is. Colleen is great to work with and made our experience awesome. Look forward to coming back! We have stayed here several times and it is always a pleasure and treats us well on our family vacation. The hosts are fabulous and they keep the place updated as well. You can't beat the location! We had a wonderful time at Vickery. Our unit was clean, comfy and well-stocked. We rented the pontoon boat one day and enjoyed swimming and snacking on the dock. I would return to Vickery over and over again! Our family's Home Away from Home! We have spent a week here for the last 23 straight years. Our adult children are now sharing the place they grew up with and love so much with with their own kids. 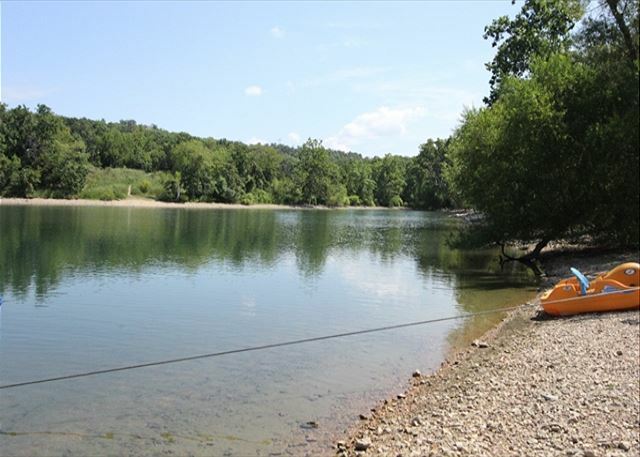 Clean, well kept, comfortable, condo situated in a picturesque quiet cove on Lake Tablerock(Missouri). Colleen, Terry, and the rest of their staff always go out of their way to provide guests everything needed to relax, enjoy your time away, and build memories that last a lifetime. The rental was clean; however, it could use some updated flooring. Electrical outlets in Master Bedroom/closet not working...mgt gave an extension cord. Soaker tub in Masterbath malfunctioned; mgt fixed in couple days. One other minor repair had to occur. It is a great location on the lake and near my niece. Rather expensive and older quality for the price. Still, we stay here every year. This was our 21st year staying at Vickery Resort (sometimes multiple times in a year). Obviously, we love it or we wouldn't keep coming back. The condos are clean and the grounds and pool are well maintained. Colleen and Terry are great hosts. You are close to everything the area has to offer. The lake is right there. We love swimming off the dock. We rent a ski boat at the Marina which is just a couple of minutes from Vickery. We have already booked next year. I can not say enough about Vickery Resort. As a property manager myself for over 25 years I am a bit picky about where we stay. This place was wonderful, the boat dock right out our back door was great, the quiet cove perfect. The property manager Colleen was so easy to work with and it is obvious that she takes great pride in this property. Vickery resort was awesome and can't wait to go back! The place was very clean comfortable. 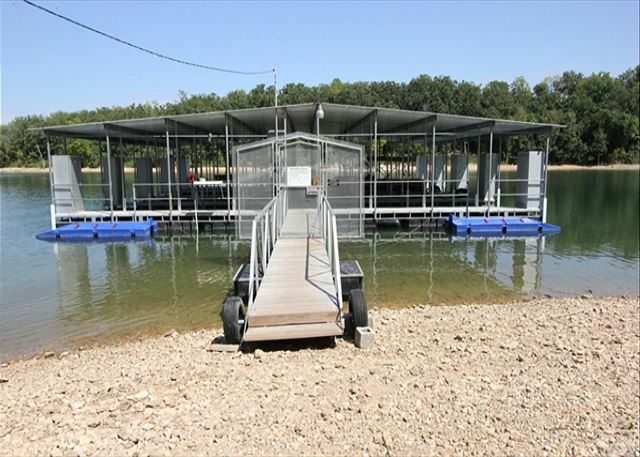 The boat dock was excellent and it was on a great location on the lake! We spent a few days at Vickery with family and friends. All amenities needed were near or on site. Views of Table Rock lake. Condo’s were very well decorated and felt like we were home. Highly recommend! Our stay at Vickery was more amazing than we could have imagined. The condo felt peaceful and comfortable with such a beautiful setting looking out over the lake. It felt like home! We had a family Christmas in Branson and stayed at Vickery Resort with our son and his family and our daughter. They all live within two hours of Branson, so this was a wonderful place to meet. We had all the amenities of home, three bedrooms and two bathrooms, so we all had room to spread out. The facility and furnishings were excellent and comfortable. Very nice and clean condo. Everything was perfect. Definitely will stay here again on our next trip to Branson area! Another perfect vacation in a perfect condo. One of the best vacation rentals at Table Rock Lake! The description of the rental was exactly as described, the condo was immaculate and very well furnished. Plenty of room for our party of five! The management was awesome and very informative. The state park marina was close and very accommodating. We rented a boat and spent the day on the lake and it was beautiful! Definitely a superb choice for our vacation! The condo was great. Probably one of the best me and my two other girl friends have stayed at. From the first phone call to make a reservation to checking out, everything was so easy. We would recommend to girls weekends, couples and families. 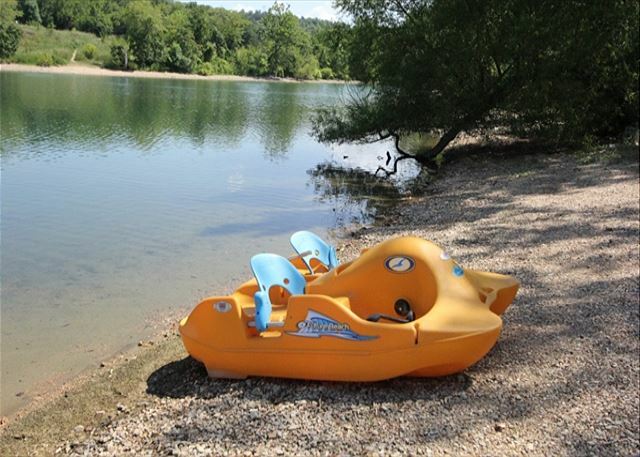 You are right on the lake and close enough to Branson to go back and forth with ease. We loved our stay at Vickery Resort. We had three different sets of guests and having the washer/dryer in the unit was awesome. We would definitely rent this unit again. The only negative, and it isn't a big one, is the walkway to the dock could be improved. Our stay was phenomenal as always. Vickery is our home away from home. Such lovely hosts in Colleen and Terry. The condos are beautiful and well kept. It accommodates our large family and we will continue going there for years to come. We rent here as it is on the Lake two blocks from a relatives Lake Home. Management is great, unit is clean and well appointed. It is a minimal resort property in terms of amenities; small pool, small play area for toddlers and a boat slip dock but it is on the Lake. If these are your needs, go for it! We have stayed at Vickery Resort On Table Rock Lake two different occasions. 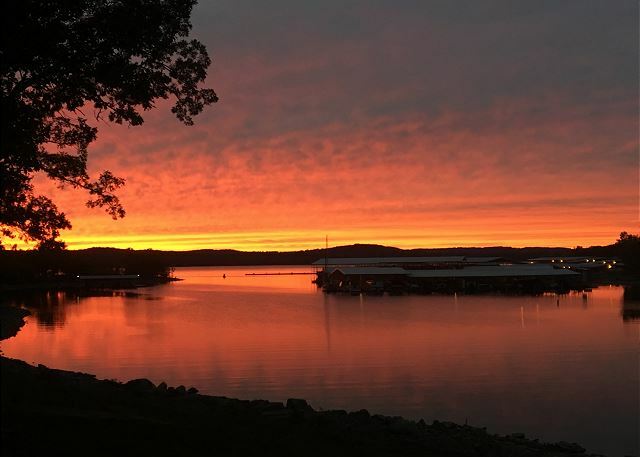 We will always stay with Colleen Blackman and Vickery Resort On Table Rock Lake. We loved everything about our stay. The location to Branson and the attractions was perfect. The condo was exactly what we had hoped for. We will definitely be back! Incredibly relaxed weekend. Condo was immaculate with extras everywhere we looked. Staff was extremely polite and helpful. I would definitely stay here again. The BEST home away from home. We always try to make Vickery Resort a place for our guests to feel that they are comfortable away from home. Thank you so much! Our family does a small reunion each summer to spend time together. We thoroughly enjoy Vickery since it is quiet, peaceful, yet close to town. The facilities are very clean and well maintained. The staff is wonderful and accommodating. We come back every year. We have been coming to Vickery for years and always have the same result, an aw some time!!! The accommodations are top notch and the hosts, Coleen is so very accommodating! You won't find a better place on the lake! We were so pleased with the cleanliness and nice furnishings. The condo was well stocked with everything you could need to stay there comfortably. Getting to the water was a gentle slope. Colleen the owner/manager was helpful and explained everything a rental customer needed to know. We rented the pontoon one afternoon that was clean and well equipped. I have a bad hip and Colleen took myself and my sister to the dock in her golf cart and was there when we returned to take us back to our condo. Our party also included my daughter and daughter-in-law, we had plenty of room and also enjoyed the deck that was lighted and had a fan overhead. The salt water pool was very convenient just next to our condo. Would go back again without hesitation. We rented two spots for a family New year celebration. The rooms were amazing and the service was above and beyond. Management quickly responded to a last minute booking. The condo was perfect, maybe too big, for a 4 day vacation for this four person family. Like home at the lake. It was very clean, had a balcony great for outdoor relaxing with a bbq I grilled Steaks on. All around I couldn't have asked for more. Great place for families and good location. This was our second time at Vickery Resort and we definitely plan to return again. the property inside and outside was clean and maintain in perfect condition. Thanks for staying with us at Vickery. Can't wait to see you all next time. This was a very nice condo, great location, and the management was exceptional. Thanks for staying with us at Vickery. Glad you enjoyed your stay. See you next time. We stayed one night with our son's family (with two babies) and the condo was perfect for us. It is even nicer than the pictures show! The check-in was very efficient and Colleen was very nice and helpful. I would highly recommend this property and I would stay here again. Wish we could have spent more time for this stay! Rental was great. Decor was very nice and well done by owner(s). Comfort for the renter was obviously owner's agenda and appreciated by us. Plenty of space for all our family. Enjoyed the balcony at all times of the day. Relatives were in adjoining units which provided all of us to share balconies and see each other. Was a great experience. Thanks for the review. Glad you enjoyed your stay, space and time with the relatives. Can't wait to see you next time. Karale: Thank you for taking time to place a review with your stay. Please come see us again!